We’re putting our Christmas tree up next week and we’ve been really busy making some handmade decorations to hang on them. 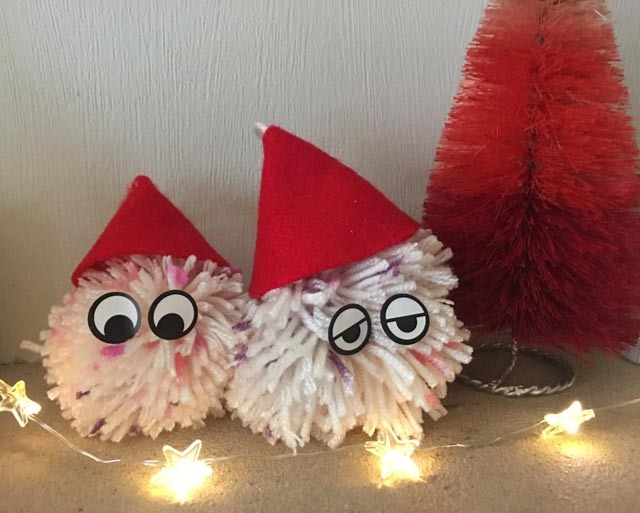 My favourite has to be the easy pom pom Santa hat decoration. Today I thought I’d show you how we made them. There are lots of ways to make pom poms. You can make them as we did at school, with two circles of card which you wrap the wool around. I’ve recently discovered the Clover Pom-Pom Maker and they make it even easier to make pom poms. I used a Clover Pom-Pom Maker and The Women’s Institute Soft & Cuddly wool, both from Hobbycraft. 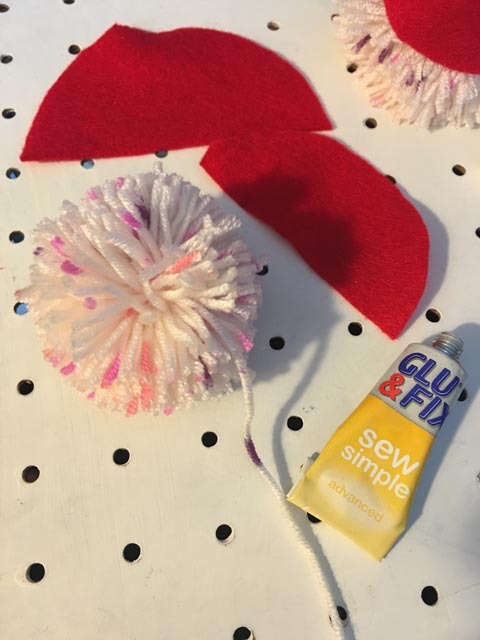 The Clover Pom-Pom Maker has great instructions or you can follow the pom pom tutorial on the Hobbycraft blog. I used two large Pom-Pom makers but you can make them any size. When you have finished your pom pom trim any loose threads, leaving one long length to hang your decoration. When you have made a few pom poms set them aside to make a hat. 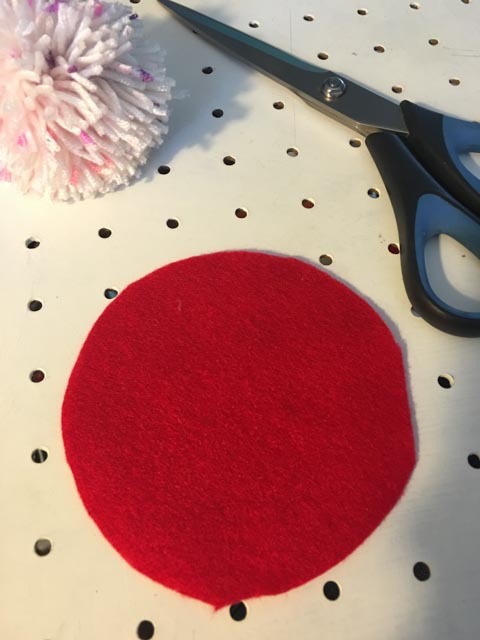 Cut a large circle from the red felt and cut in half. 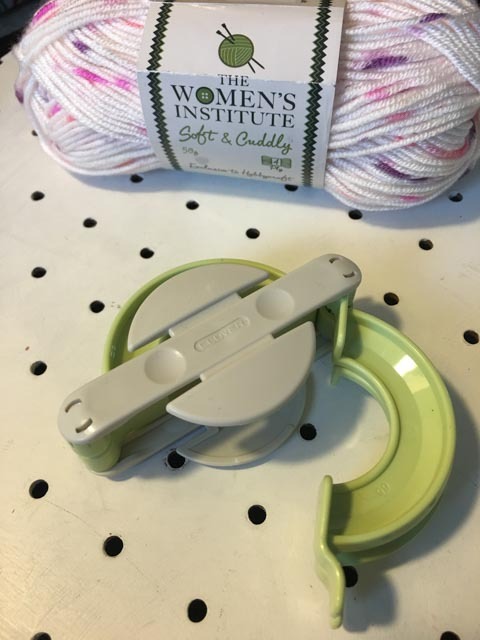 Fold around your length of wool and glue (or stitch) in place. Push the hat down , glue to the top of your pom pom if needed. 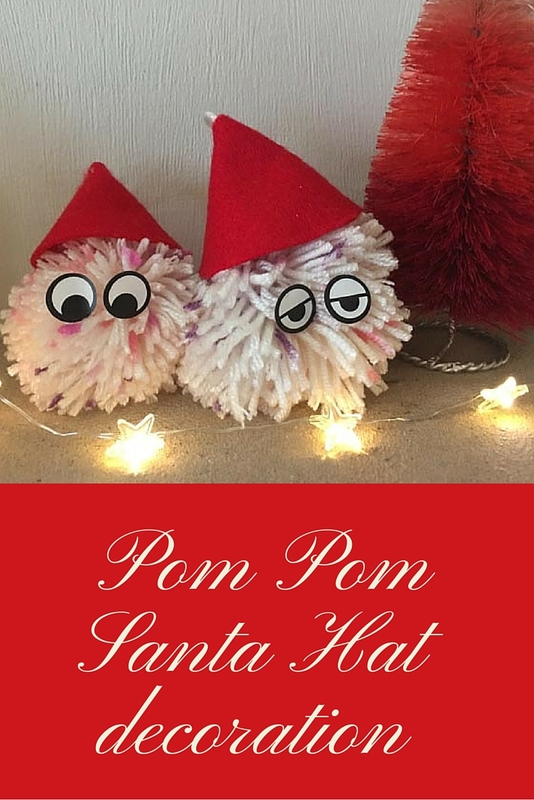 Add googly eyes and you have a fun pom pom Santa decoration. Oh My Goodness! These are adorable! So much cuter than the store-bought pom poms we always use. Wow that pom pom making tool a nifty piece of kit, things have moved on since my pom pom making days! These are so cute – Peakles and I must make some of them this weekend! oh these are so adorable! we have pom pom makers so going to try this! Now I want a pom-pom maker – never knew they exisited ! Monday Parenting pin it party . I just love making pom poms! These are so adorable!